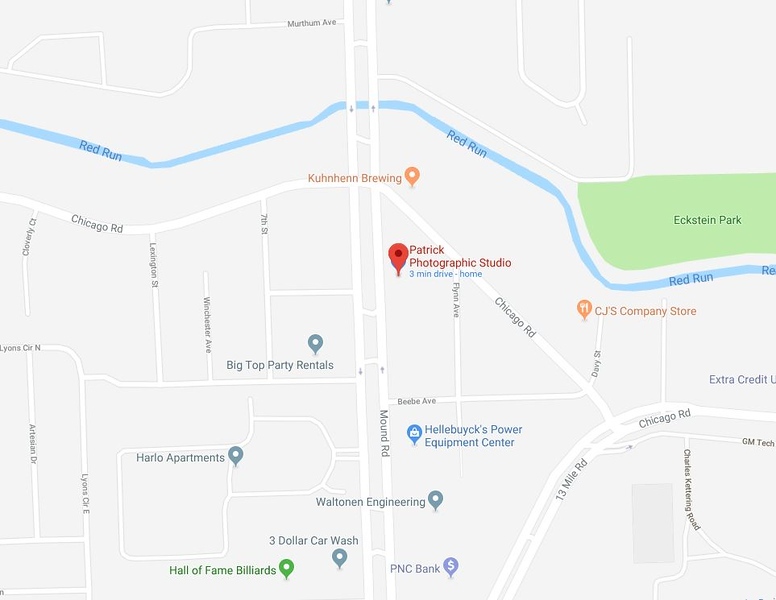 In 1974, Patrick Buschmohle and his wife, Pamela started Patrick Photographic Studios in Warren, Michigan in a small building on the corner of Chicago Road and Mound. Right from the beginning, Patrick became busy photographing high school seniors from the Warren area. During this early time in his career, Patrick also became known for his Heirloom Portraits of mothers and babies. In fact, a portrait of Pat’s wife and daughter, Shannon, was among the highest scoring prints in the history of the Professional Photographers of America. After a couple of years, Patrick Studios outgrew their original space and moved a few blocks north, to a larger facility, directly across from St. Anne Church. As Patrick grew his business, he did weddings, portraits of children, families and mostly, high school seniors. Patrick then went on to become Detroit Professional Photographer of the Year. He was also awarded the honor of being Michigan Professional Photographer of the Year. He later served as President of the Detroit Professional Photographers Association, a group of about two hundred and fifty serious, working-professional photographers. His wife, Pam also served on the Board of Directors of the D.P.P.A. Patrick continued his formal photographic education and earned his Master of Photography Degree in 1986 from the Professional Photographers of America. Patrick Studio has become the premiere and foremost professional portrait studio in the Warren, Sterling Heights, and Troy area. The new studio is full service, specializing in high school seniors, children and family portraiture. Patrick Studios is most certainly a family business with Pam Buschmohle, Patrick’s wife of 40 years, managing the business. Courtney Buschmohle, Patrick’s daughter is a very talented photographer, who specializes in high school seniors and children’s portraits. Since its beginning over 40 years ago, Patrick Photographic Studios has become one of the top portrait studios in the area. Today Patrick and Pamela are the proud owners of a state of the art studio, which they designed and built specifically for their portrait business.